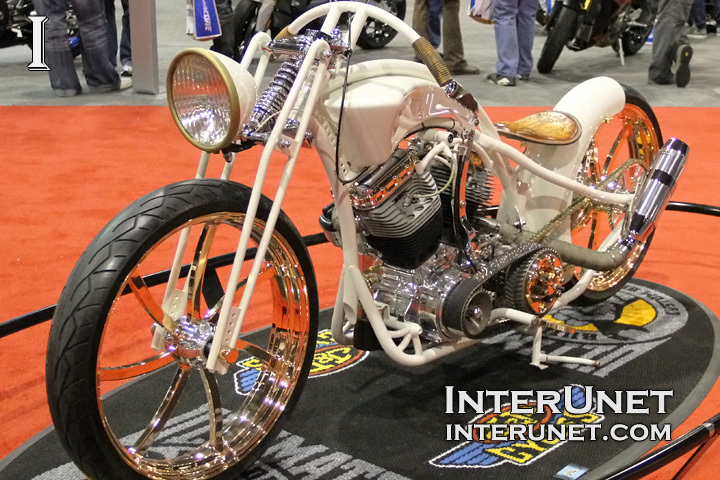 List of 10 best motorcycles from 2014 Progressive International Motorcycle Show in Chicago. Engine Mod: Stock, High Flow Air Cleaner, Thunder Header. Special Features: Inverted Forks, Super Shocks, CRF Swing Arm, DNA Twisted Spoke Rims, Wide Tire Kit, 23” Front Tire, Custom Air Box Cover. Chassis Type: Fat Tire Shovelhead With Removable Bags. Chassis Mod: Custom and one of fabrications thru out bike. Special Features: Handlebars seat, One of a kind fenders and paint. Engine Mod: S&S carb custom pipes thunderheart ignition. Chassis Mod: Custom rigid rear section, custom tank, custom fender. Special Features: Fire extinguisher, oil tank, firehouse nozzle exhaust tips. Special Features: Complete one off build. Chassis Type: B.T.C.S. – P.S. Chassis Mod: +6 Out, -1 Down, 46 Rake. Chassis Mods: Cut Neck, 26” Wheel, Front & Rear Air Ride, Steel Tank, Fenders, Custom Fairing, Ghost Bars. Special Features: Extended Bags, Trick Lighting. Planning to customize your bike or order a new one?